This page is dedicated to going over the standardized exams that are taken by all medical students. Information regarding all of the Step exams (the “boards”) and the shelf exams is provided below (with linked pages that further elaborate upon each specific exam). 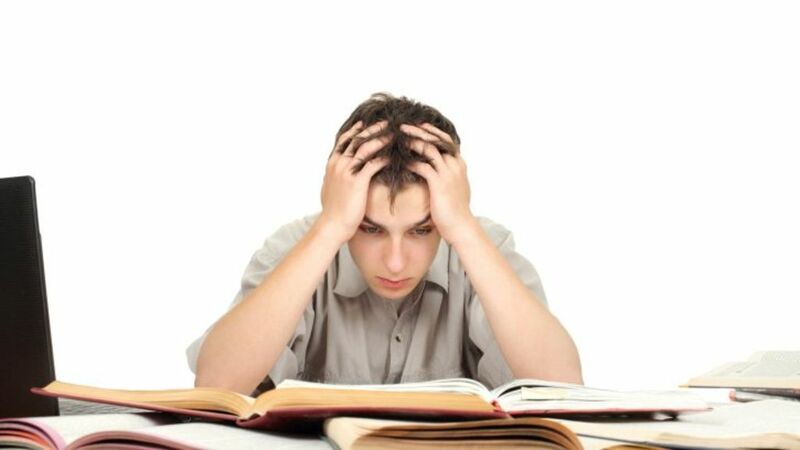 Understanding all the different standardized tests administered during medical school can be stressful. This guide is aimed to make things more clear (image source). What are the step exams exactly? These step exams (commonly referred to as the “boards”) are a series of tests required for medical licensing in the United States. The United States Medical Licensing Examination (USMLE) is the organization that is responsible for creating and administering these Step Exams. This organization is sponsored by the NBME (more on this organization below in the shelf section of this site) and the Federation of State Medical Boards (FSMB). The USMLE exams are a series of tests taken throughout medical school. The scores (especially for Step 1) are thought to be important when applying for residency, and all of these exams are required for licensing medical students as physicians (source). What are the specific exams administered exactly? USMLE Step 1: is a multiple choice exam that focuses heavily on the basic and biomedical sciences that serve as the foundation for clinical medicine. Topics such as microbiology, pathophysiology, and biochemistry are heavily emphasized. Step 2 Clinical Knowledge (CK): this component of step 2 is a multiple choice exam that is more clinically oriented (in comparison to Step 1). It draws upon the foundational knowledge tested on the Step 1 exam, but focuses more on more material that is more directly clinically relevant (such as patient management). Step 2 Clinical Skills (CS): this component of step 2 is NOT a multiple choice exam, instead it deals almost exclusively with patient encounters with standardized patients. Students are evaluated on their ability to conduct a history and physical, and write a clinical note which emphasizes documenting their clinical workup, building a differential, and making a diagnostic plan for the standardized patient in question. USMLE Step 3: this is the final installment of the step exam series. It includes a combination of multiple choice exam questions as well as computer based case simulations. Its focus is more on the application of knowledge to deliver care to patients. What are the shelf exams exactly? The shelf exams are rotation specific exams that cover the material one would associate with typical third year medical student clerkships. Before going into information that is specific to each particular shelf exam, let us cover the basic information that applies to all shelf exams. Fundamentally, the creators of the exam is the organization called the National Board of Medical Examiners (NBME). Interestingly enough, it is actually individual medical institutions that purchase and administer this exam to students. Each shelf exam is generally 110 questions long (all vignette based multiple choice, with varying numbers of answer choices), and students are given 2 hours and 45 minutes to complete each exam. Looking at the official NBME document here this information can be found under the “Clinical Science Disciplines Section”. Currently these exams are offered in either paper or electronic formats. The specifics of this vary by the institution administering the exam (although slowly more programs are transitioning to providing students with electronic versions of these shelf exams). How is the exam graded? The NBME initially will calculate an objective raw score for each exam. This is compared to the national exam for each specific exam (at the time it was taken) and translated into a national percentage for each student (i.e. how each student compares amongst all the different testers throughout the nation who have taken the same exam). What are the topics of the different shelf exams? The below are the different shelf exams that are most commonly administered during the third year of medical school. What are some general resources that are useful for all of the standardized exams? This website: as far as content goes, working through the USMLE content outline (and focusing on the section of this outline that is relevant to the specific exam in question) can be very advantageous. This outline is designed to centralize information from various sources in one easy to reference location. Similar viewing the archive of standardized exam questions can also shed light on how exams will ask questions about specific topics. NBME practice exams: as is the case with most standardized exams, it is worth using the practice tests that are made by the same individuals that write the exam you are preparing for. The NBME is responsible for creating all of the exams listed on this page, and their practice materials should be an important consideration in any student’s study regiment. To find the NBME practice exams log into their self assessment website and look under the various categories to find the specific practice tests you are looking for. How to find the specific practice tests that pertain to each exam is elaborated more on the individual exam pages linked above. UWorld USMLE question banks: it is important to realize that these question banks are NOT created by the NBME/USMLE (the organizations that create all of the exams above). With this in mind, it is fairly universally accepted as being helpful in preparing for the various exams listed above. The questions are designed to test in preparation for the USMLE Step exams (1,2, and 3), however much of the content listed for the Step 2 CK exam is very relevant for the shelf exams. These question banks can be found here.